To mark Brandeis National Committee’s 70th anniversary, a new initiative called 70 for 70 has been launched to underscore the importance of the BNC to Brandeis University’s success and to encourage BNC donors to use planned giving as a means of providing support to the university. The initiative’s goal is to attract 70 new planned gifts by June 30, 2019. 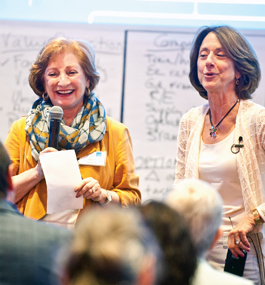 BNC officials point to planned giving as a simple and effective way for donors to have an impact on Brandeis, which is also celebrating its 70th birthday. Over the course of its history, the BNC has raised more than $137 million for the university, and the organization — as every student who walks through the library or along the Gerstenzang pathway quickly realizes — has proved central to Brandeis’ growth and development. Examples of planned gifts the 70 for 70 initiative hopes to increase include charitable gift annuities, bequests, deferred annuities, charitable remainder trusts, charitable lead trusts and donor-advised funds. For instance, for a minimum gift of $10,000, charitable gift annuities allow donors to receive an immediate and significant charitable tax deduction, earn income from the gift at attractive rates for the rest of their life (and the life of their spouse), and have their name permanently engraved on the BNC Tribute Wall in the Brandeis library. Former BNC national president Leslie Pearlstein, P’94, is chairing the 70 for 70 committee. 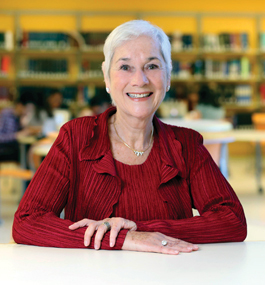 She cites Brandeis’ academic rigor, world-class research and social-justice initiatives as the reasons for her involvement in the BNC (she’s been a life member of the Boston chapter since 1987). Bequests, another planned-giving option, can be established in any amount. They allow donors to keep their gift during their lifetime. They also reduce estate tax and probate costs, and lessen professional-management fees on an estate. With numerous options to choose from, planned giving allows BNC donors the flexibility to both practice good philanthropy and meet their financial goals in an individualized way that works best for them. To support the 70 for 70 effort, please establish your planned gift to BNC by the end of June. For more information or for a confidential consultation, contact M’Lissa Brennan, BNC’s director of strategy and development, at 781-736-4178 or mlissa@brandeis.edu. 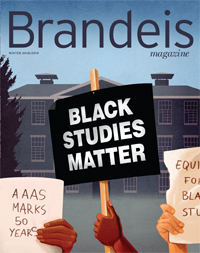 It’s already been an exciting academic year for the Brandeis National Committee. The Boston, Santa Clara Valley and Conejo Valley Chapters have won Louis D. Brandeis Achievement Awards, in recognition of their hard work and creativity as they met financial goals, increased membership and reached other milestones. I’m looking forward to celebrating the accomplishments of these chapters and others with BNC family members from coast to coast. Each summer over the past two decades, the Helen and Philip Brecher New Student Forum has chosen a book for Brandeis’ incoming class to read. This year’s selection is “Billy Lynn’s Long Halftime Walk,” a novel by Ben Fountain. BNC members are being invited to read the book along with the students. To learn how to bring this experience to your chapter, visit the Brandeis National Committee website. Brandeis faculty continue to visit our chapters for University on Wheels programs (just as they connect with Brandeis alumni through Faculty in the Field events). We remain grateful to the professors who bring the Brandeis classroom experience to us and enable the pursuit of lifelong learning. Thank you all for being part of our vibrant network and sharing in our wonderful work. 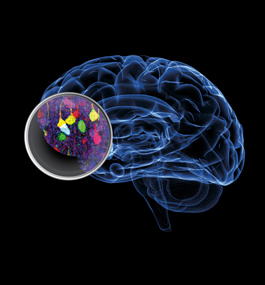 Inside his Neural Circuits Lab at Brandeis, Steve Van Hooser, associate professor of biology, and his team of undergraduate and graduate students work to decode the fundamental mysteries of the brain and understand how networks of neurons enable behavior. For instance, using new-generation optical and optogenetic tools, Van Hooser and his students identify specific changes that happen as our brain learns responses to what our eyes see. The Magnify the Mind campaign, which continues through June 30, 2019, is nearly halfway to its $500,000 goal. For more information or to provide support, visit bit.ly/magnifybnc.